If Blood Orange is your thing, this premium brewed drink will blow your tastebuds away. No artificial flavours or enhancers here. It’s a natural Blood Orange experience to remember. Ingredients: Carbonated water, cane sugar, blood orange juice from concentrate (5%), blood orange brew (water, blood orange juice concentrate, sugar, yeast), acid (citric acid), pectin, flavour, preservatives (211, 202), colour (purple sweet potato, lycopene), antioxidant (ascorbic acid). No GMO containing Ingredients* or Processes have been used in the manufacture of any Bundaberg Brewed Drinks Products. *This information is based on written assurances from our ingredient suppliers. 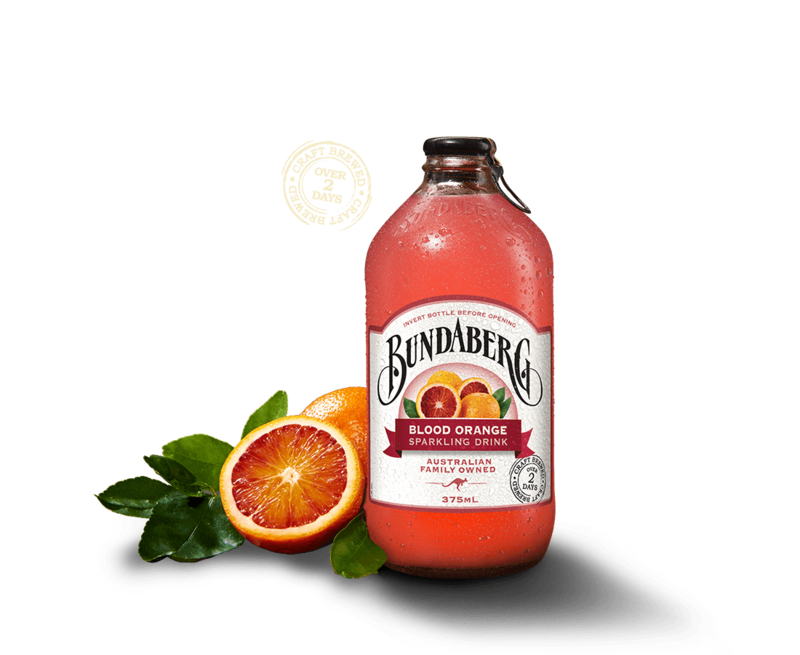 All Bundaberg Brewed Drinks Products are free of Allergens as defined by the Australian and New Zealand Food Standards Code (Standard 1.2.3 (4)).